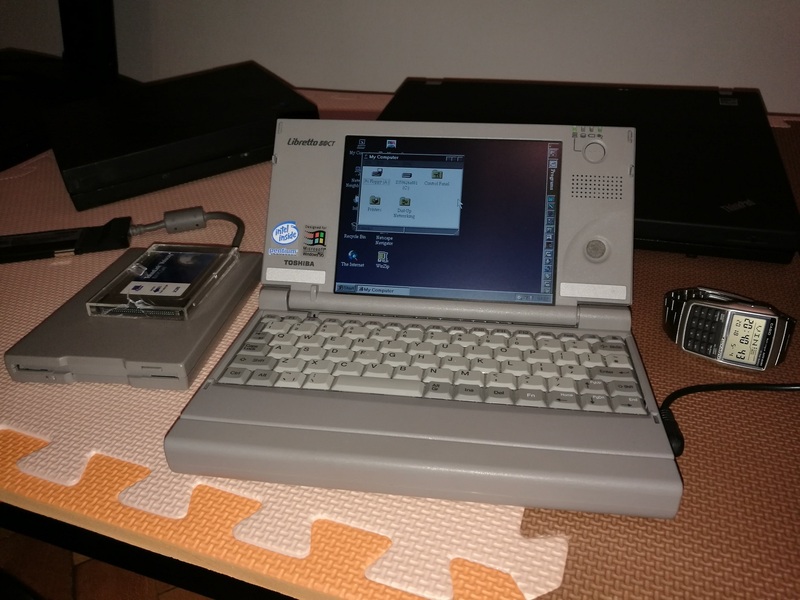 Libretto machines are always fascinating because its a full sized notebook from the era when machines were big and heavy and all of that old tech was squeezed into a today’s smartphone sized gadget. Inside this machine there is no room for a paperclip, everything is reduced and very well engineered to fit it. 35% of thespace is occupied by the 2.5 Hard Disk Drive. I got this machine from ebay and its in very good shape. 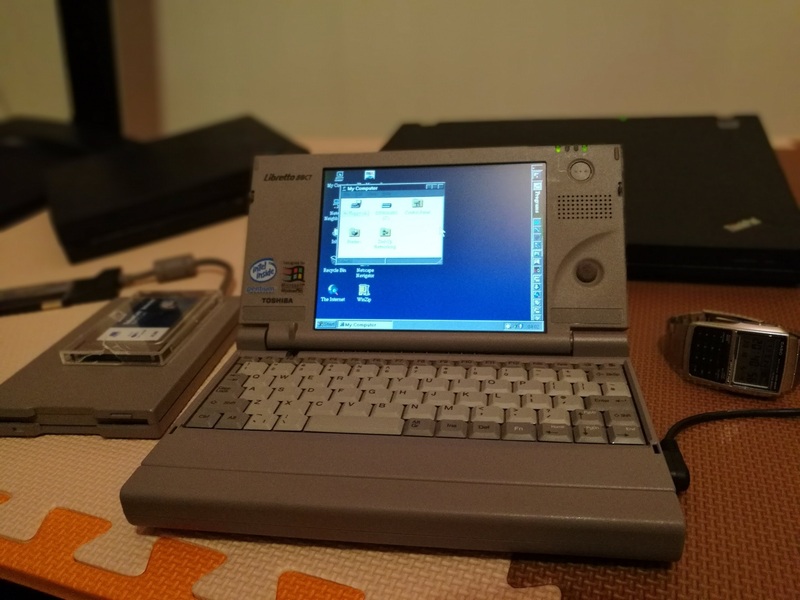 It comes with a lot of accessories like PCMCIA LAN, Docking station, FDD Unit and an original leather bag.